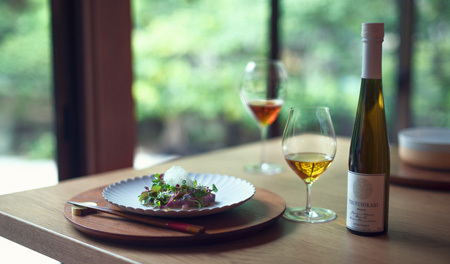 Like wine, like Japanese Sake, our bottled tea, “Thé Dʹor” goes very well with various cuisines. Whether you like alcohol or not, like good wine, high quality caffeine-free and non-alcoholic drink, “Thé Dʹor” can satisfy you. The aroma and fragrance can surely make you a smile and give you comfort. Enjoy a glass of “Thé Dʹor” with your precious one. 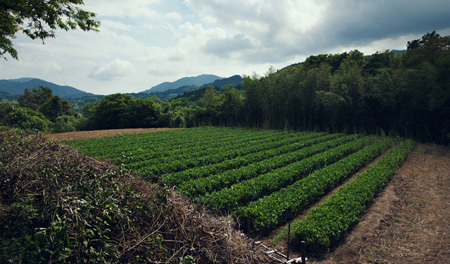 Abandoned tea farms are increasing as many of tea farmers in Japan are getting older. The Tea Company takes this situation seriously and tries to restore those abandoned tea farms. When abandoned farms increase, wild animals may start to live and some animals may spoil other crops. Those ruined soil could lead to loss of some important kind of tea. 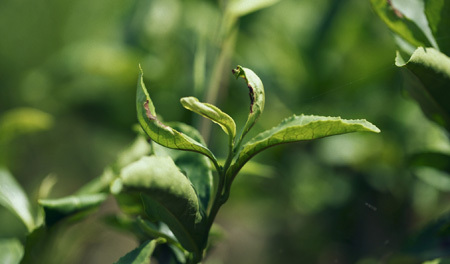 To grow green tea, farmers usually use nitrogenous fertilizers but those chemical fertilizers and pesticides can naturally be removed from soil when tea farms are left behind for years. However, tealeaves used in our fermented tea do not use nitrogenous fertilizers and we thought that abandoned soil is well fit for growing tea. Therefore, we have started planting tea on abandoned soil and this is Japan’s very first restoration project to use abandoned farms for the exclusive use of producing fermented tea. 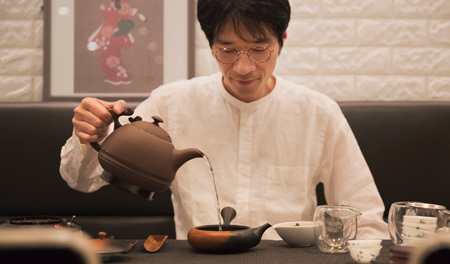 Mr. Takuya Watanabe, one of our members and a tea master, lived in Taiwan, the founding place for Oolong tea, to learn everything about producing fermented tea. 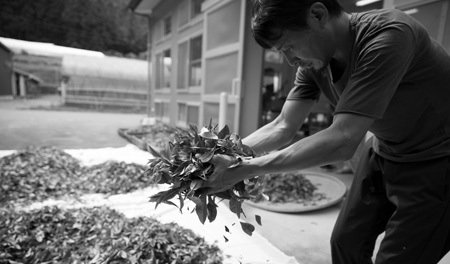 He manages every step of producing our ferment tea including revitalizing abandoned tea farms, selecting Japanese tealeaves for fermented tea, and processing tea. With our involvement from planting tealeaves to bottling tea, we now are working to create a world-class Japanese fermented tea. Our hope is to create a new standard for fermented tea in Japan and the world. To accomplish this, we will keep challenging ourselves to produce new types of tea with the help of many people. We feel that it is our duty to introduce fascination of tea to the world. Through our bottled tea, we would like to present tea farmers’ dedication for growing tea and its fascination. We host many workshops to share the tea culture and create Japanese tea for the next generation. With the help of chefs and sommeliers, our workshops include tea-processing experience, study sessions about tea, and some workshops are in collaboration with restaurants.